What photo takes you right back to Bangladesh? 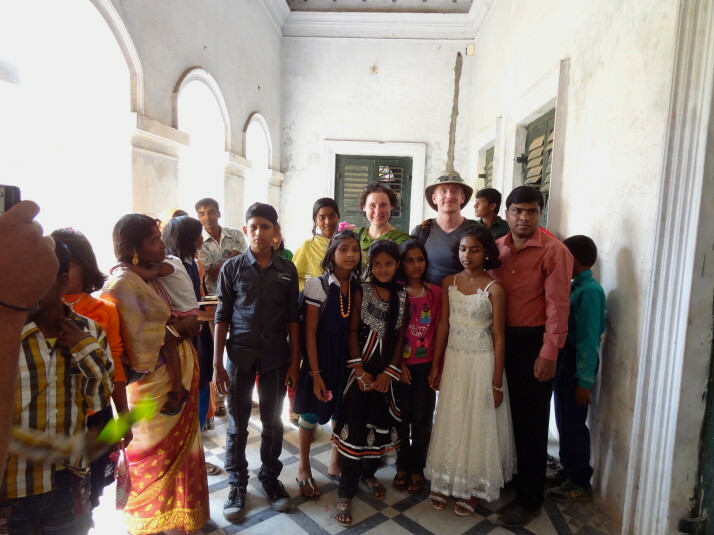 Being mobbed for photographs in Natore’s rajbari. For the Bangladeshi tourists, we were often the main attraction! Summarise Bangladesh in three words. Staring – as there aren’t many foreign tourists, being white made us the center of attention. It’s not rudeness, they’re just very, very curious! You’ll be sitting in a restaurant and everyone will position themselves so they can watch you eat, including the waiting staff who’ll often just lean on a nearby table. It can feel like feeding time at the zoo! What one item should you definitely pack when going to Bangladesh? Binoculars. There’s a surprising amount of wildlife in Bangladesh and there were quite a few occasions, especially in the Sundarbans National Park and Srimongol’s Lowacherra National Park when we wished we’d had a pair with us. This entry was posted in Places and tagged Bangladesh, Round Up on April 30, 2014 by Andrew. What is 25 + 11 ?